The Upper Blue Sanitation District serves the area from Hoosier pass to Lake Dillon, including the towns of Breckenridge and Blue River. 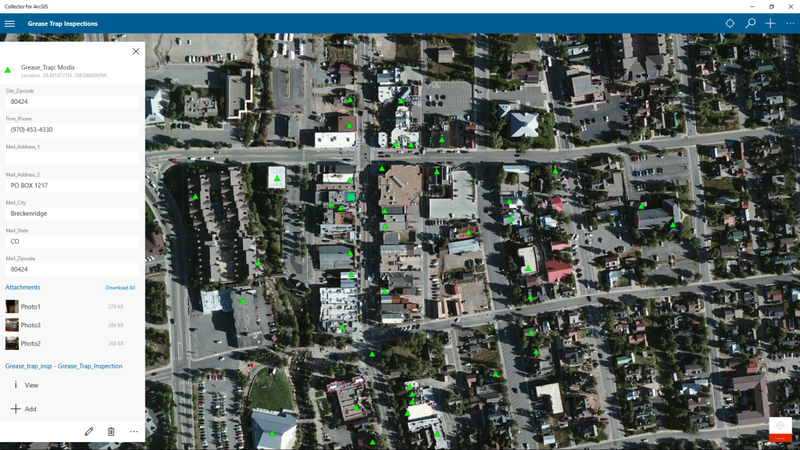 With a modest yearly budget for GIS, the District contracted with North Line GIS to initially develop a basic system for asset management that was GPS corrected to also allow for finding assets buried under several feet of snow. More recent additions to the system have included the extensive use of collector for multiple inspection tasks including lift stations, manholes and grease traps, and the use of attachments to allow for quick access to information about pumps, motors, line inspections, and other assets where detailed information is valuable to have in the field. 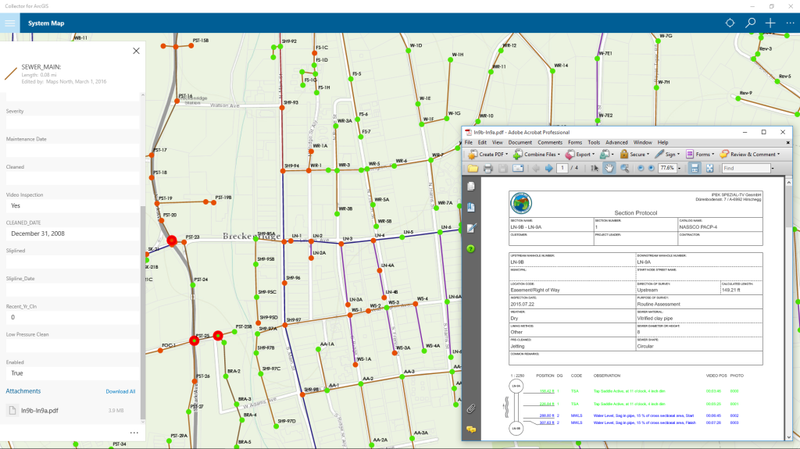 Their goal was for all of this type of information to be accessible to all operators in a couple minutes or less, and was easily accomplished with the use of GIS. The District has also participated in several LiDAR consortiums organized by North Line GIS that provided detailed information including 1’ contours and 6” imagery to the district. This information has been invaluable for planning expansions and system modeling.